Courtesy of Nexthome Leading Edge Realty, Tomas Landin. Location, Location, Location. Beautiful Spanish/Contemporary Two Story Home on a Golf Lot. 4 Bedrooms 3.5 Baths, and 2 Car Garage. High Ceilings, Open Floor Plan, Granite Countertops in Kitchen and Bathrooms, Private Back Yard, Beautiful View to the Green Belt and Golf Course. Walking Distance to the Sonterra Golf Store, Tenis Court. (Additional fee may required). 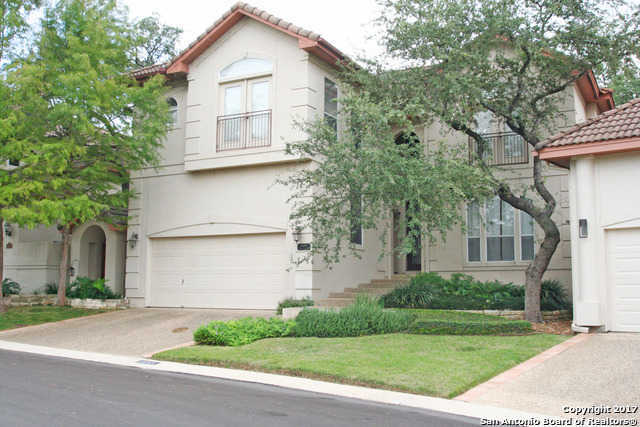 Easy Access to Stone Oak Parkway, 1604, 281, Shopping, and Minutes from the Airport. Call your Realtor for a Showing. Please, send me more information on this property: MLS# 1275883 – $399,000 – 18911 Las Aguas, San Antonio, TX 78258. I would like to schedule a showing appointment for this property: MLS# 1275883 – $399,000 – 18911 Las Aguas, San Antonio, TX 78258.